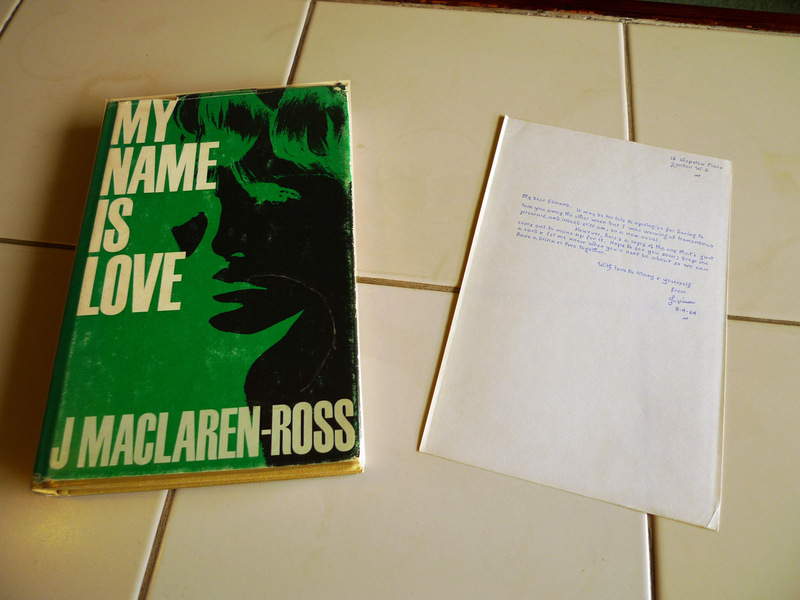 Nice to see some appreciation of Maclaren-Ross. 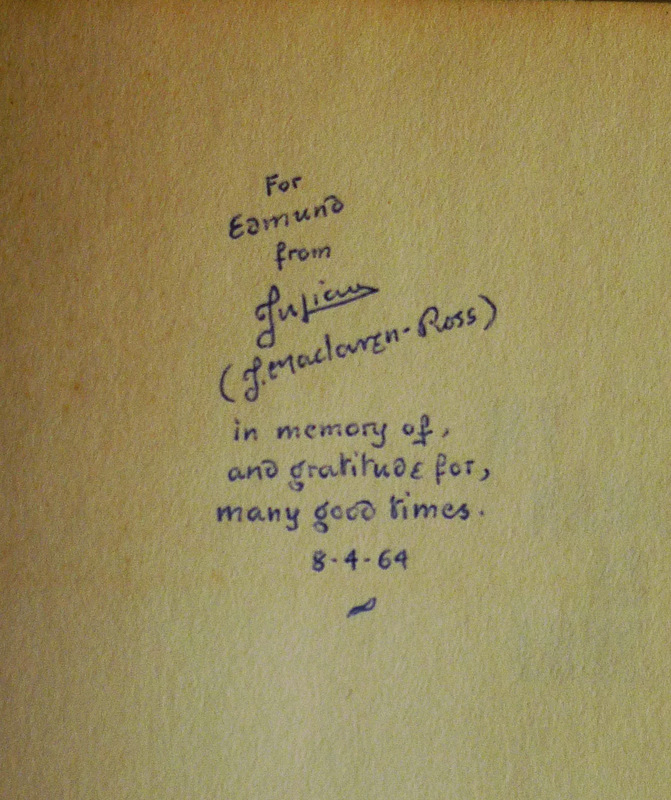 I have, in my modest collection of his first editions, a treasured signed copy of The Funny Bone, dedicated in his obsessively neat handwriting to a Mrs Sturgeon. A short while back I met someone called Maclaren-Ross and weighing up how stupid it was to ask if she was related decided to take the plunge. She was delighted and introduced me to her husband, who is J. M-R’s son. He’s an incredibly charming chap who presented me with a copy of the Black Spring Press ‘Selected Letters…’. 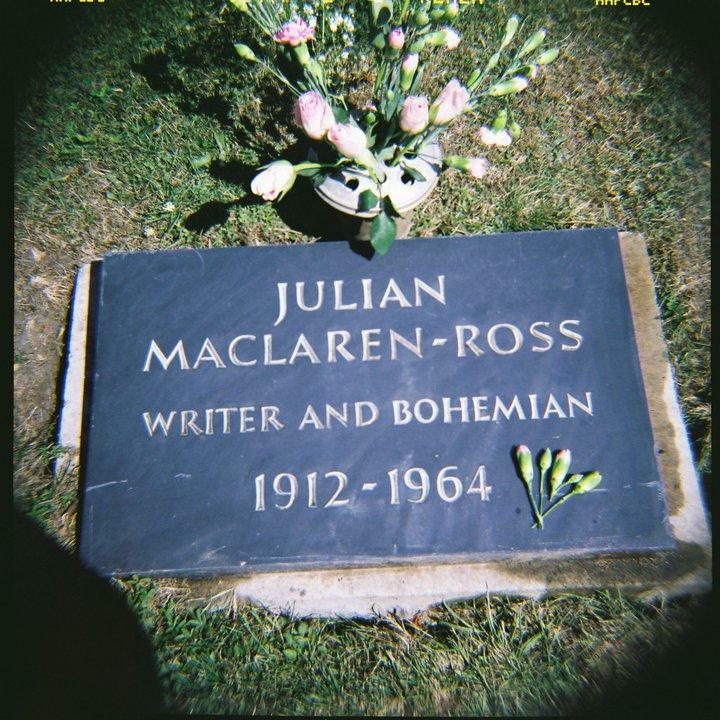 I too really must make the pilgrimage to J. M-R’s grave. Wow, Chris! Thanks for getting in touch. We need more love for Uncle Julian (that’s what I call him!). I’m very impressed about the Mrs Sturgeon book – such a great name. And meeting Julian’s son too! Do go to the grave – whilst there you could go and see Billy Fury around the corner; his grave is covered in flowers and animals from fans. I thought JMR should have some alcohol, fags and a few books to read but I thought someone might think I was being disrespectful if I left things there. It’s odd though because you are actually standing on top of his burial ground when you visit, with there being no cut off point and then you realise you’re on top of him. You should definitely read the biography though (if you haven’t already) as that is amazing. I have a couple of films / tv shows JMR was involved in script wise so I might review those at some point. I am desperate to see the BBC documentary he appeared in but have been unable to track it down yet. Let me know if you find anything exciting anywhere, please! 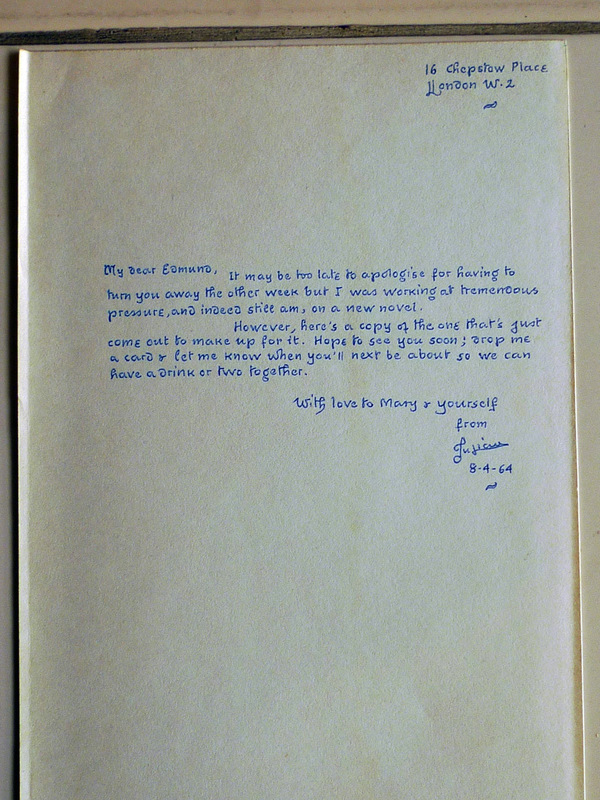 I have even better news, the ‘Mrs Sturgeon’ to whom my copy of The Funny Bone is dedicated is almost certainly Flora Sturgeon, the sister of Leonard Woolf and mother of Diana Bromely. 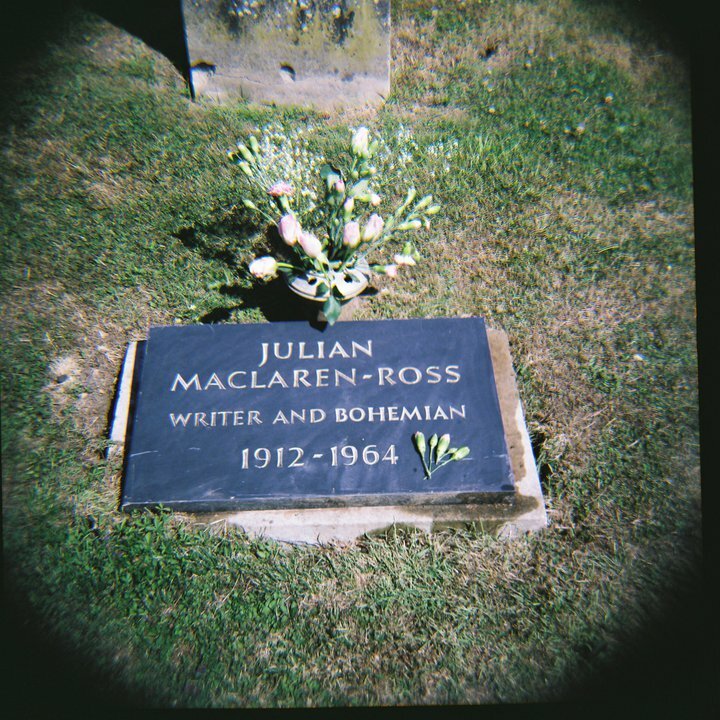 I have also hear that D J Taylor has recorded a programme for Radio 4 marking the centenary of Julian’s birth, to be broadcast on the 13th December(?) at 11.30am – with an accompanying piece in The Guardian the preceding Saturday. I’m looking forward to hearing more about the films/tv shows you have, as I have never seen any of these. Wow, Chris! That makes your signed copy even more exciting. Very jealous. That’s also great news re the radio show – I will keep an eye out for that. 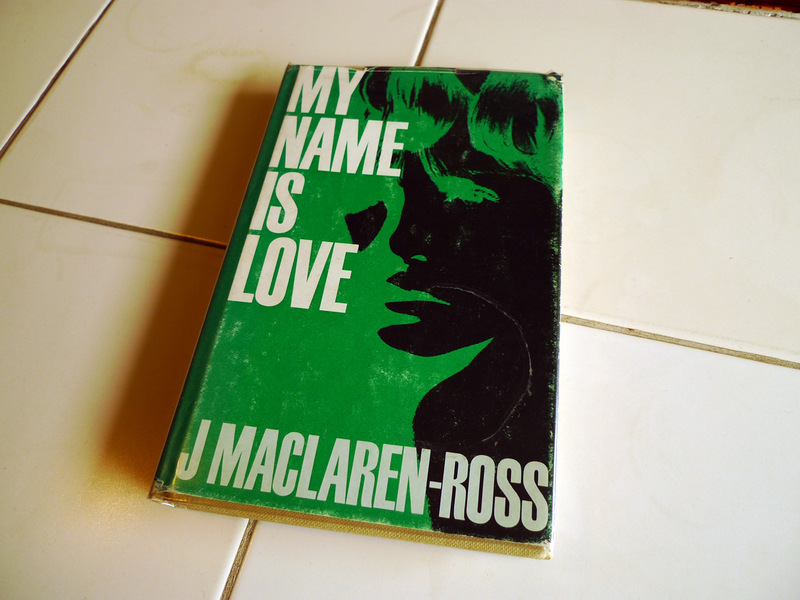 A couple of years ago I had some emails from Paul Willetts, who wrote JMR’s biography, and he told me then that a film-maker friend of his was putting together a Maclaren-Ross documentary. At that stage they had about 12 hours of interview footage with C.K. Jaeger, Alex Maclaren-Ross, Alan Ross, John Heath-Stubbs, Max Eden, Stephen Fothergill, Ann Valery, Joan Wyndham and one or two others. The film-maker was editing the footage but I’ve heard nothing about this since. Maybe JMR’s son has heard something? 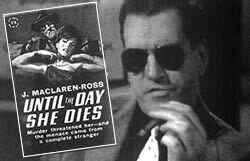 Also Paul Willetts mentioned that David Boulter, the producer of Prime Suspect, and Ed Whitmore, a scriptwriter who has worked on stuff like Waking The Dead, were hoping to create a drama series based on Maclaren-Ross’s wartime period in the Wheatsheaf. I really hope that that one gets made as that would get JMR’s name and work out to a wider audience for sure. Anyway, stay in touch, Chris, and send more JMR news. I’ll keep you informed if I hear anything too!